Everybody has been telling me to try Adobe Premiere Pro. It’s the new go-to video editing solution for professionals. Mind you, I’m not a professional. However, I was somewhat proficient in Final Cut Pro, but I don’t have a MacBook Pro anymore. I’ve been using CyberLink’s PowerDirector, and it’s been okay. It’s pretty easy to use coming from Final Cut Pro. But now that I have a chance to use Adobe Premiere Pro, I’m digging in as much as possible. And so far, I’m actually really digging it. When I first used Adobe Premiere back in 2005, I freaked out. It overwhelmed me right from the beginning. Of course, in 2005, I was an amateur when it came to most advanced computer programs. I had just learned how to use Adobe Photoshop, Adobe InDesign, and Adobe Illustrator — believe me, my brain was fried. However, I’m not so much of an amateur anymore. And for those who have a medium expertise in editing video, Adobe Premiere Pro is fairly easy to use. There are various sections of the program screen like there are in other video editing programs. Adobe Premiere Pro is best used with a large monitor, but a notebook will do. On the upper left is where you edit the specific clip that you want to import on the timeline. Once you are happy with the clip edit, you import it to the timeline, which is on the lower-right side of the screen. The upper-right corner of the screen is where the full movie (in progress) is. You can easily add titles, transitions, and export it into almost any file format you want. This is certainly unlike Final Cut Pro, where you needed to buy the Compressor program to encode it into most video formats. The main thing I’ve noticed is, at least when compared to CyberLink PowerDirector, how fast the video encodes. It took fifteen minutes for a five minute 4K movie on PowerDirector, but only seven with the same exact clip and settings on Adobe Premiere Pro. And the video, during the Preview mode, plays a lot smoother as well. So I don’t overwhelm myself, I am just learning to do the basics for now — editing home movies with transitions, titles, and adding music. Then, I’ll move on to the more complex effects, such as putting a ghost in one of the video clips. Using a 13.3-inch laptop such as the Dell XPS 13 with Adobe Premiere Pro will make you squint a lot. 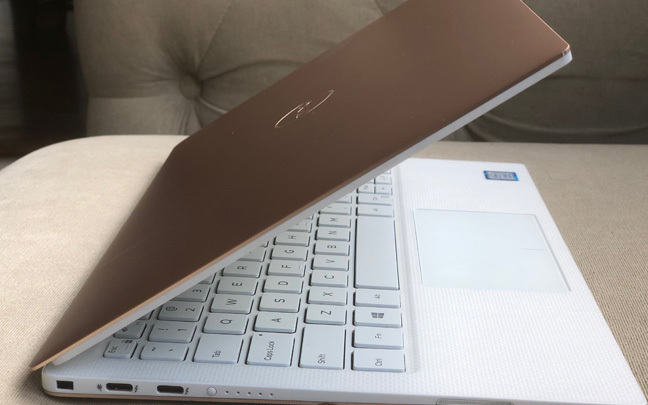 I’m using the Dell XPS 13 9370 (the white one which I reviewed a couple weeks back). And editing videos, even at 4K, is certainly doable. But for the better results, one should use a laptop that has a discreet GPU. And for the best results, one should use at least a 24-inch monitor so you can view the full workspace without having to close windows, minimize size of spaces, etc. 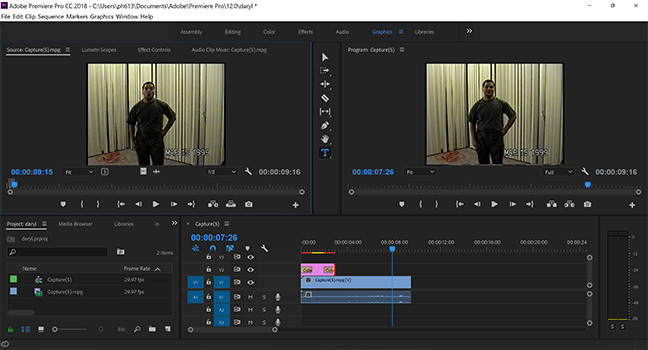 For those who are having doubts about learning yet another video editing program, give Adobe Premiere Pro a try. Download the trial version for now. I guarantee that you won’t regret it. This entry was posted in Review and tagged Adobe Premiere Pro, Dell XPS 13, Final Cut Pro, Video Editing. Bookmark the permalink.